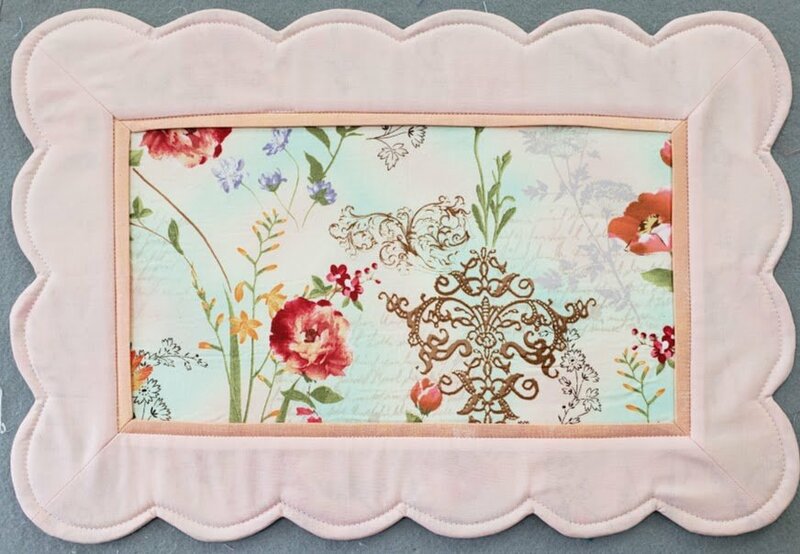 Set a pretty table with these reversible scalloped placemats! They can be made with four different fabrics or just two, it’s or choice. Learn how to: miter a corner and add a flange. Save time by purchasing the pre-cut scalloped foam placemats.